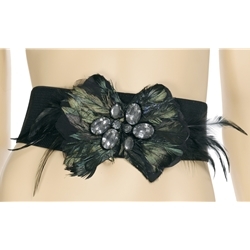 The stretch belt is used as part of a 1950’s costume. It can be paired up with a 50’s housewife dress or similar style costume from the period. The stretch belt is colored as pictured. Fits up to a 28” waist.